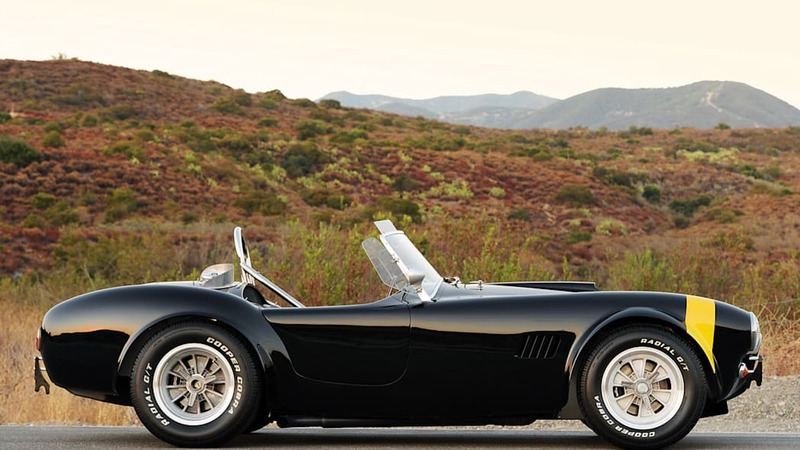 For the ultimate rush, drive a Shelby Cobra. 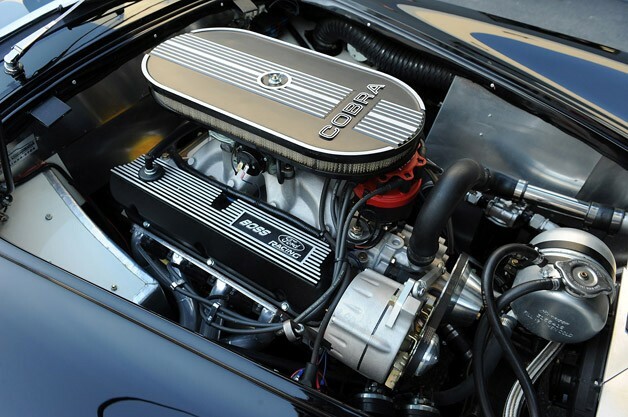 It is about as close as one can get to climbing on top of an American V8, wrapping gloved fingers around red-hot exhaust manifolds and then holding on for dear life as it tries to buck you off. 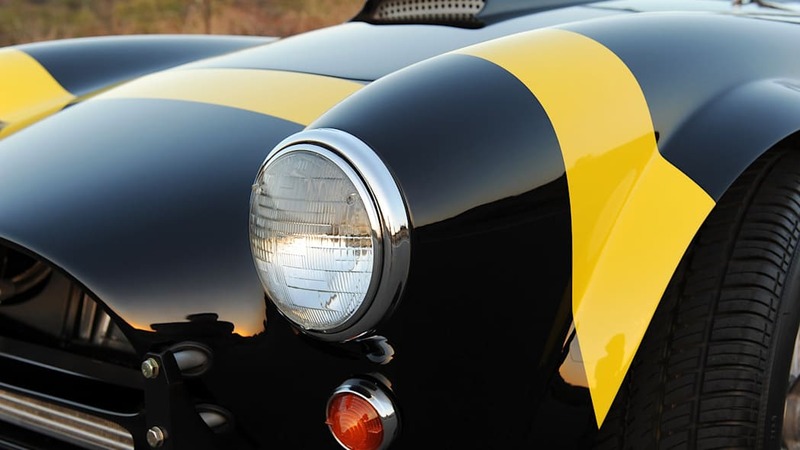 We just spent an hour behind the wheel of a brand-new fiberglass-body Shelby Cobra 289 FIA. 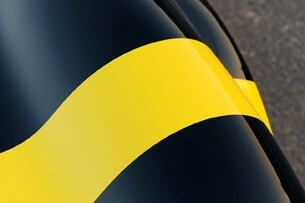 The CSX7000 is a faithful recreation of the legendary race cars that circled tracks around the world from 1962 through 1965. 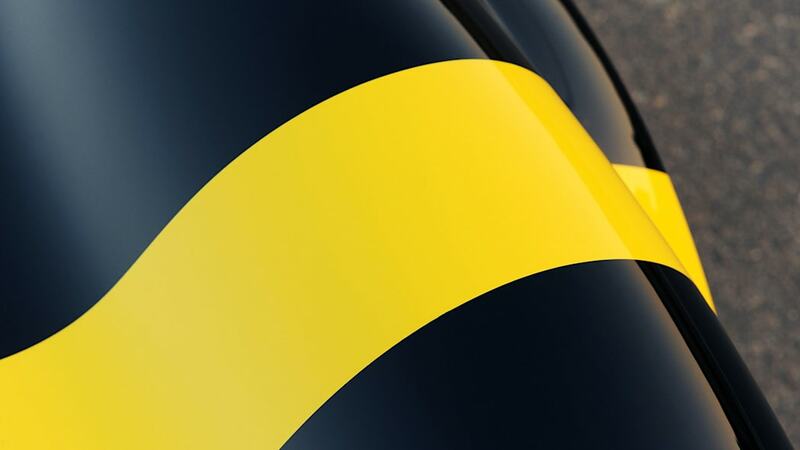 Under the hood of this particular Jet Black sports car with a bright yellow transverse stripe is a stroked Ford Racing Boss 302. 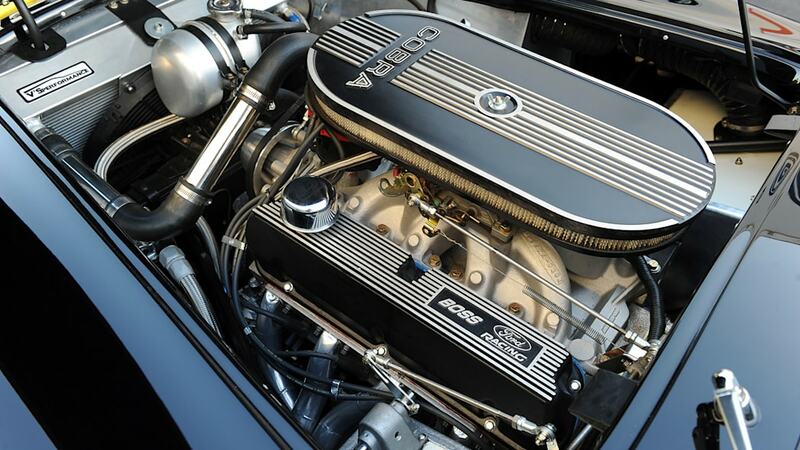 With its side pipes cackling, the 347 cubic inch eight-cylinder generates more than 400 horsepower to motive a featherweight 2,200-pound chassis. "Overpowered" is an understatement. We met up with the 289 FIA at Shelby Distribution USA, located in Irvine, California. 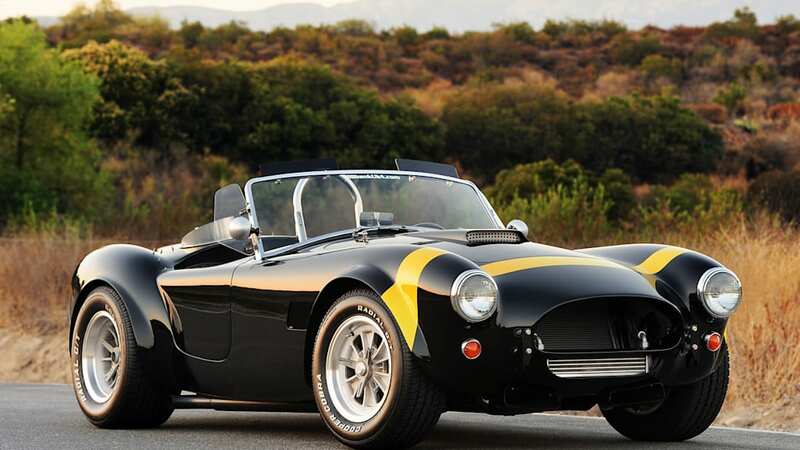 The company has been selling Cobras for six years, all legally under license from Shelby American, Inc. (based in Las Vegas, Nevada). 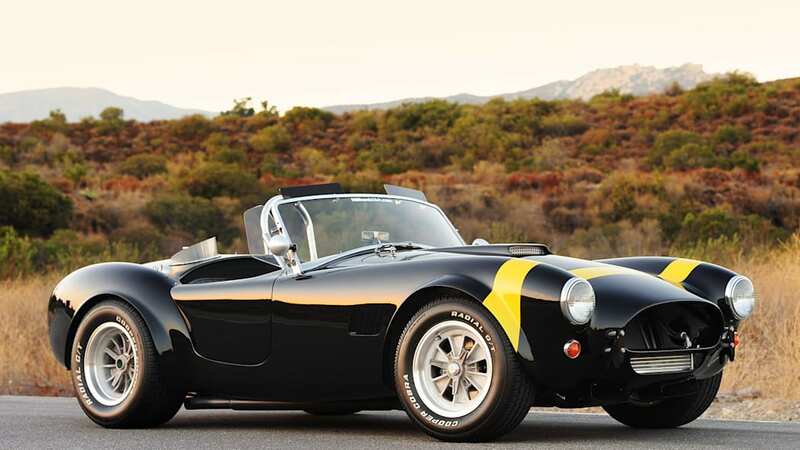 Shelby Distribution offers a variety of Shelby Cobra and Shelby Daytona Coupe models with aluminum or fiberglass body panels and they also sell a wicked-looking GT40. 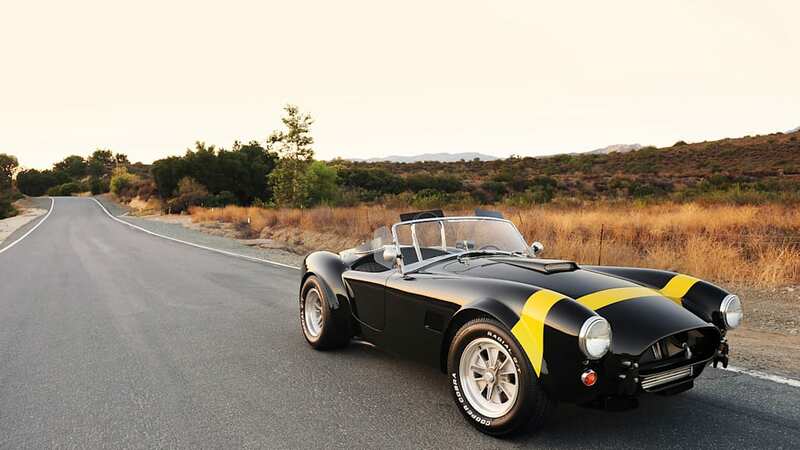 A Cobra boasts an old-school design that makes it physically unlike everything else on the road today. Our test vehicle was a Shelby Cobra CSX7000 289 FIA with a base price of $79,995 – priced as a roller minus the engine and gearbox. A slew of customizing options, including Raydot-style mirrors, full leather interior, fuel cap deflector, Salisbury differential and ceramic-coated headers pushed the price up slightly. 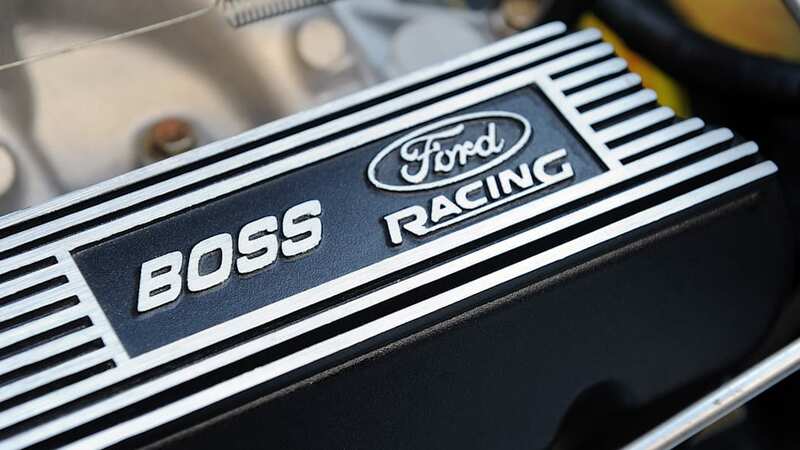 But the big ticket item was the muscular Ford Racing Boss 302 Stroker 347 and Tremec T5 five-speed manual gearbox. With options and powertrain, chassis R0003 carried a list price of $133,215. 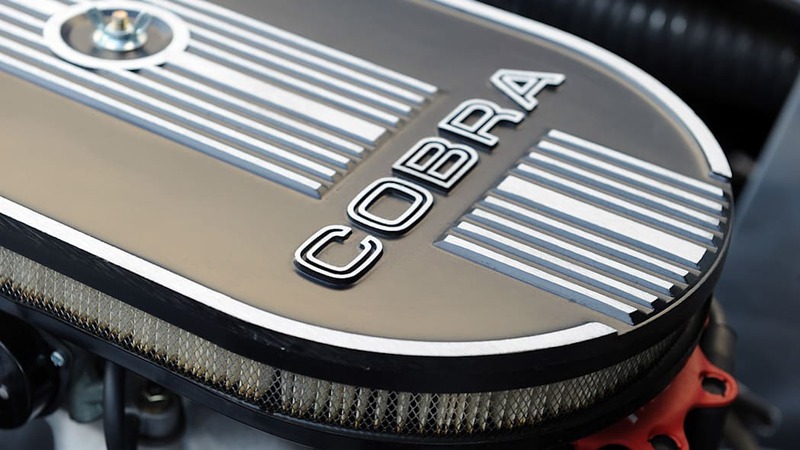 A Cobra boasts an old-school design that makes it physically unlike everything else on the road today. 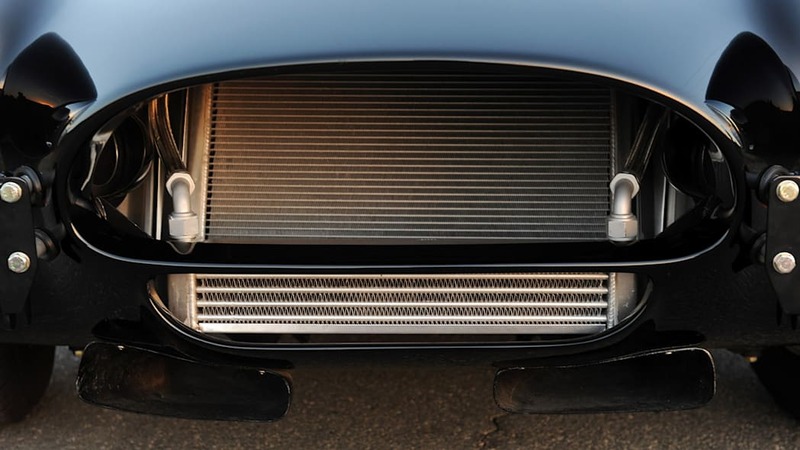 First of all, it is a front-engine rear-drive sports car with all of the mass of the engine set behind the front axle. The driver sits very far back on the chassis, aligned with the front of the rear wheels, and there is very little rear overhang. 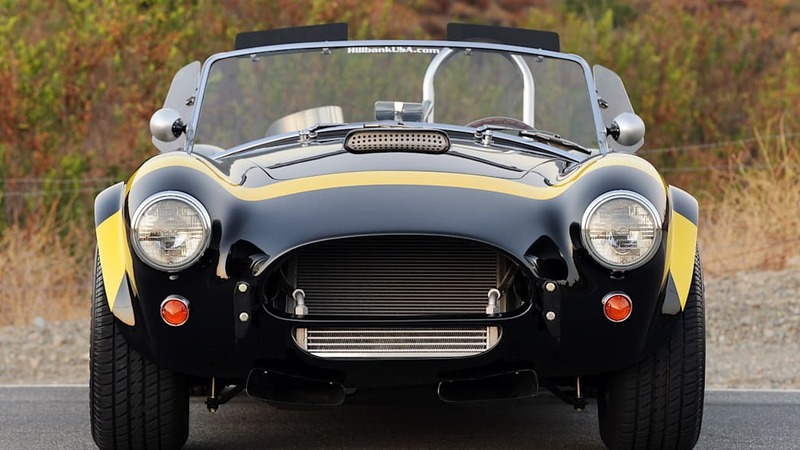 This arrangement helps to offset what would typically be a nose-heavy footprint (the Cobra has a decent weight distribution with about 48 percent of its mass over the front wheels). Second, the driver and front passenger sit to the outside of the platform, with a large transmission tunnel separating the two. 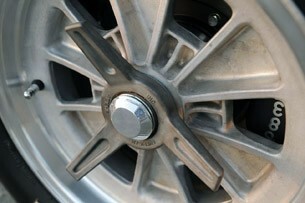 The driver's footwell on most of today's exotics is compromised by the front wheel well (feet are pushed to the right). 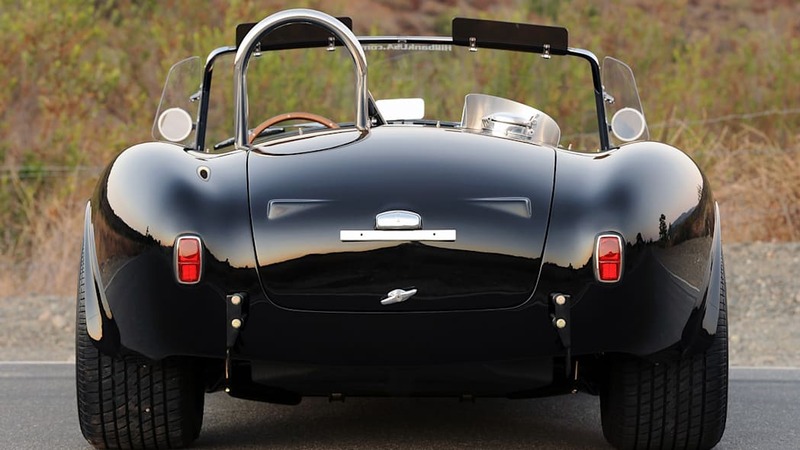 In the Cobra, on the other hand, legs and feet are pushed to the left by the intruding tunnel. There is plenty of room for shoes and toes, but they are shifted to the outside. The only thing holding you in place is a three-inch comp-style vintage seat belt with a metal quick release latch. Lastly, the cabin ergonomics are focused on racing. 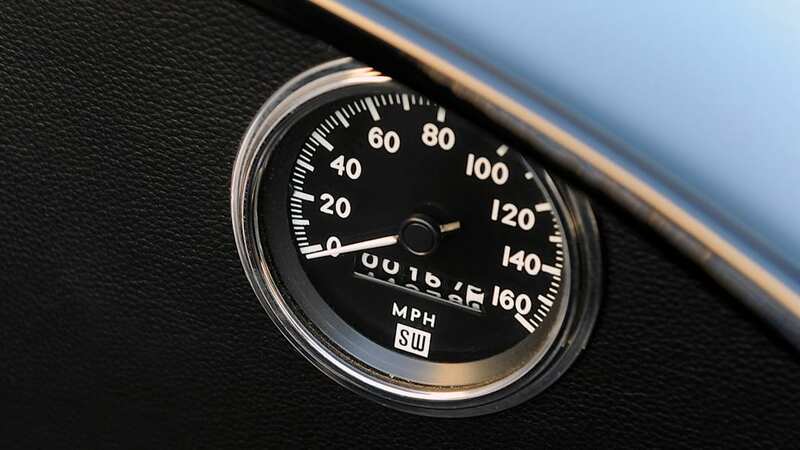 While the tachometer and primary analog gauges are in plain view, the speedometer is on the passenger side of the dashboard, allegedly added smugly by Shelby to please officials. 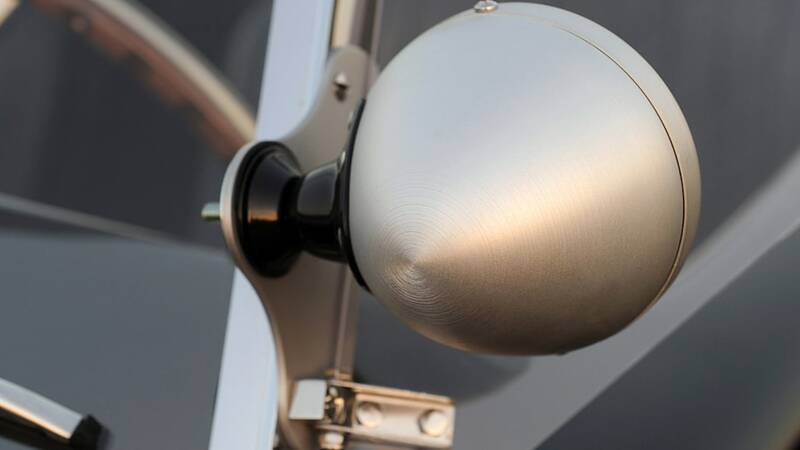 The turn signal lever is on the right side of the column and nearly all of the secondary controls, including lights, fuel pump and fan, are toggle switches. 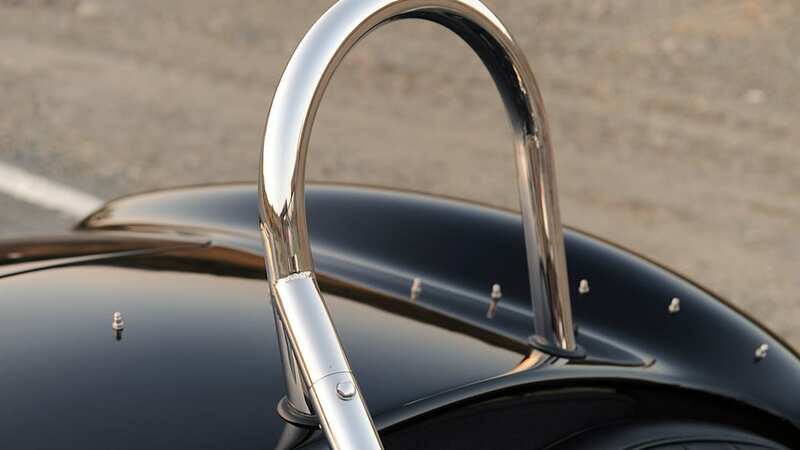 All mirrors are manually controlled, and the all-important rearview cabin mirror is mounted at the top of the dashboard, peering through seats and safety tubing. 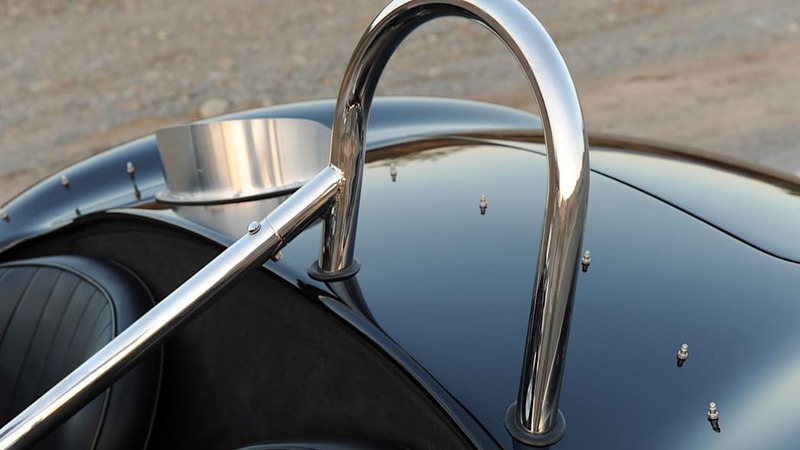 Dropping a six-foot, two-inch frame into the passenger compartment wasn't difficult, but one needs to avoid leaning on the windshield surround or soft bodywork as they don't like to be overstressed – your author found the sturdy roll bars best to use as a brace. 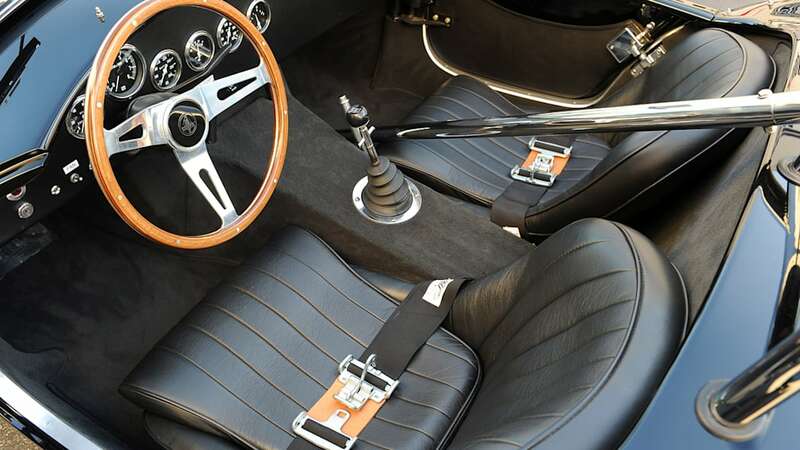 Understandably, the Cobra lacks all modern safety equipment (no three-point belts, airbags, head restraints or side-intrusion door beams) so the only thing holding you in place is a three-inch comp-style vintage seat belt with a metal quick release latch. 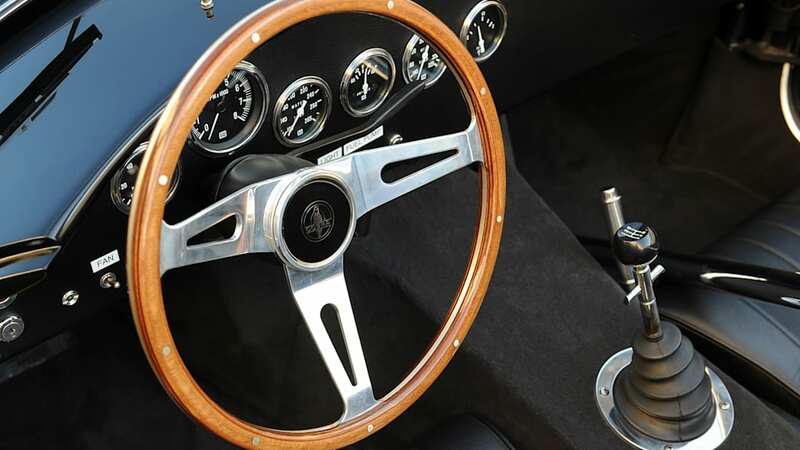 The wood-rimmed steering wheel is fixed in place (its lower right half resting firmly against your author's thighs). A lack of overhead structure means visibility outward is only limited by the ozone layer. It is essentially unlimited as far as other traffic on the surrounding roadway is concerned. The door sills are low, great for resting elbows, but unpadded so we didn't rest them there. However, the retro-cool low-back leather racing seats are much more comfortable than they appear, even after more than an hour in the saddle. At idle, the engine shook the chassis and everything else as it angrily popped, burbled and snarled. Customers have many choices when it comes to powerplants and exhaust (427s and 289s are popular), but we grew very fond of how our test vehicle was configured. 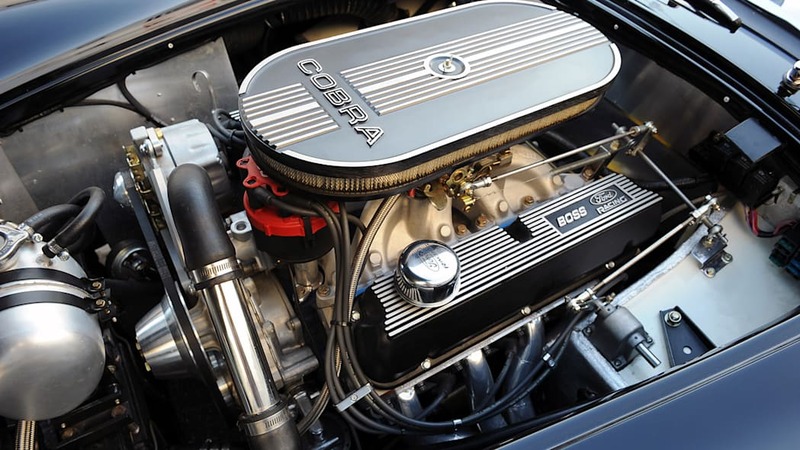 Under its forward-hinged hood was a race-tuned Boss 302 V8 from Ford Racing stroked to 347 cubic inches (horsepower was estimated at "more than 400") mated to a Tremec T5 five-speed manual gearbox. 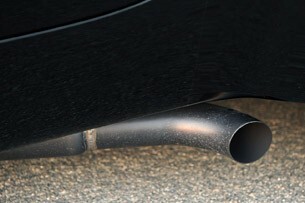 The exhaust, lacking all choking emissions controls, exits via side pipes just in front of each rear wheel. At idle, the engine shook the chassis and everything else as it angrily popped, burbled and snarled. 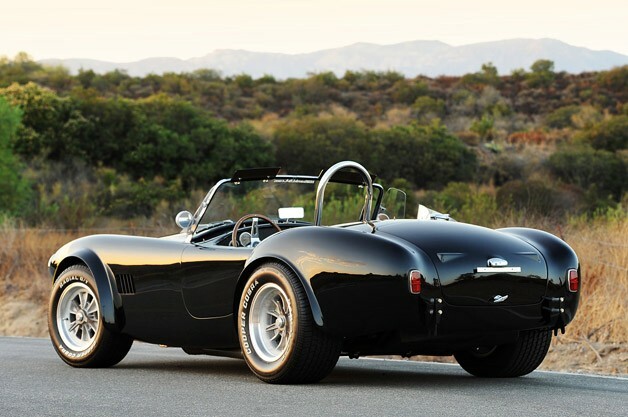 While aluminum-bodied Cobras are available, they are expensive and honestly quite fragile. 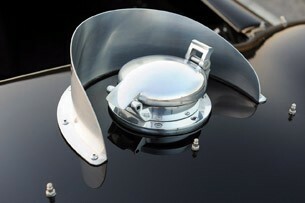 Those who intend to drive and enjoy their purchase most often opt for fiberglass (like our test vehicle). 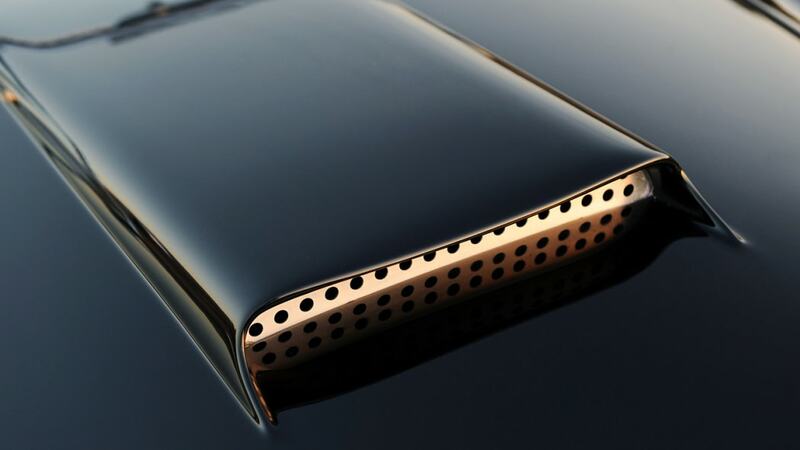 The synthetic skin is light and durable; the curb weight on our black beauty was only about 2,200 pounds. 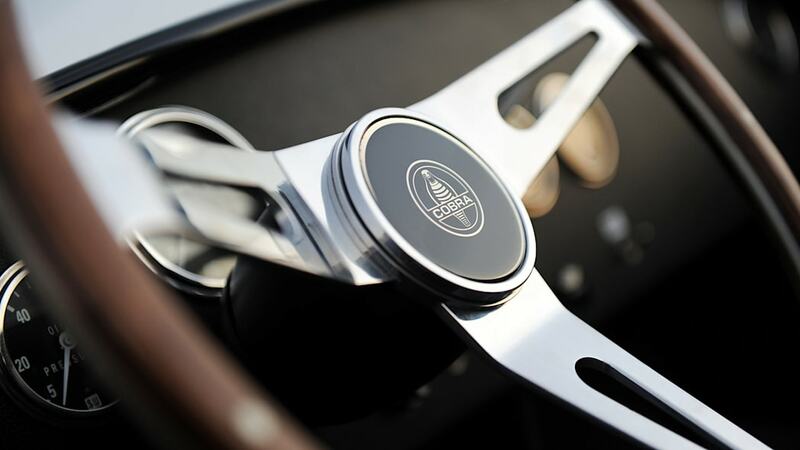 As is often the case with classics, all of the oddities were quickly forgotten after we turned the left-mounted key. After twisting and holding it for about two seconds, the Ford V8 roared to life with the subtleness of Leo, the MGM lion. Around town in choking city traffic, it was easy to drive but far from perfect. 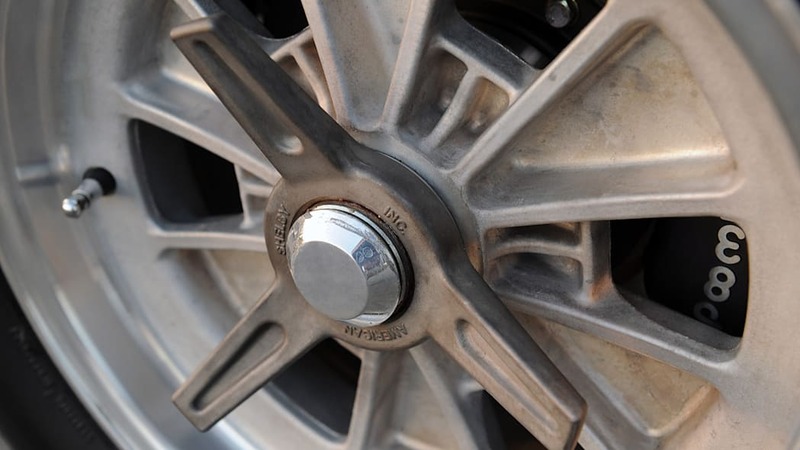 The Tremec gearbox has a very short throw, its movement stiff and very mechanical in operation, but the clutch was nicely weighed and easy to engage without stalling. 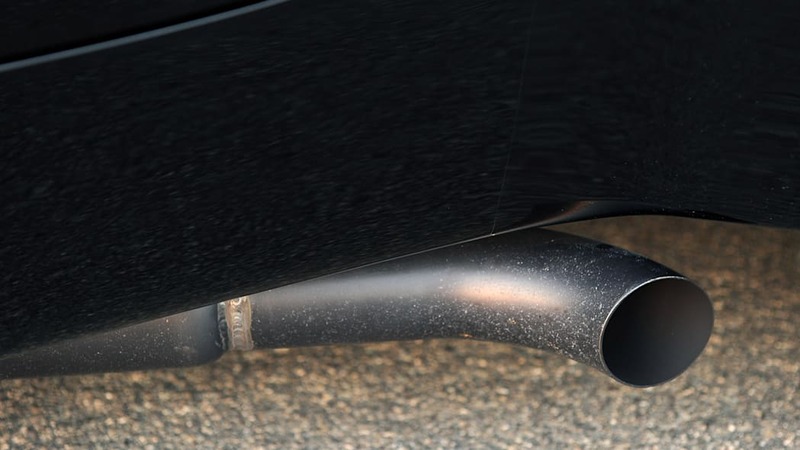 The noise of the engine is a constant reminder that there are big explosions going on up front, with the concussions blowing dust and dirt off the pavement below the ferociously loud exhaust pipes. The Cobra does indeed put on a great show. 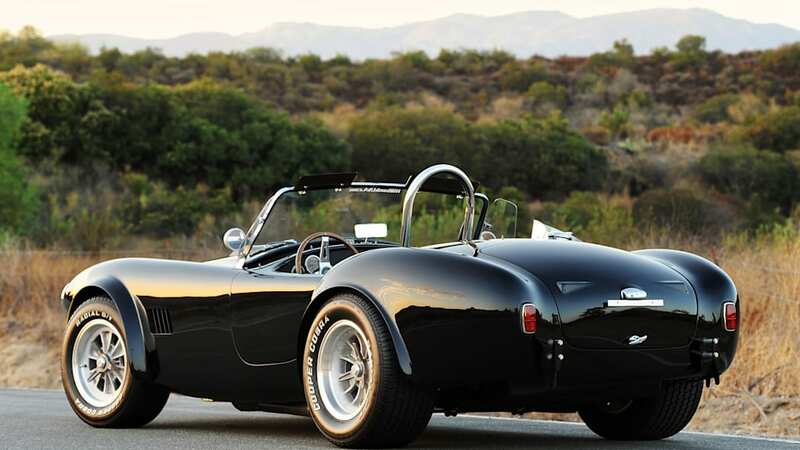 Around town in choking city traffic, the Cobra was easy to drive but far from perfect. The unassisted steering was heavy (as expected) while the heat from the engine began to find its way into the passenger compartment. Things got hot, a problem compounded by the warm summer sun. A toggle activates an auxiliary electric radiator fan up front, and it did a nice job dropping the engine temperatures. Your author, on the other hand, turned pink and was burnt by the sun before day's end. 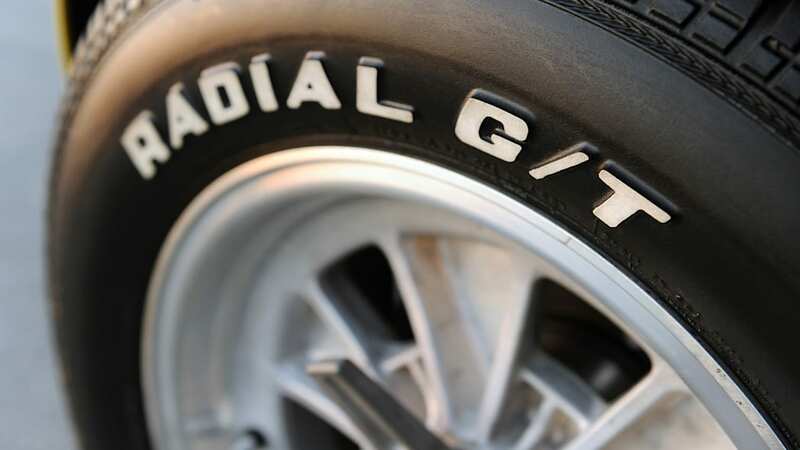 If it were up to us, we'd slap on some R-compound tires for some genuine cheap thrills. 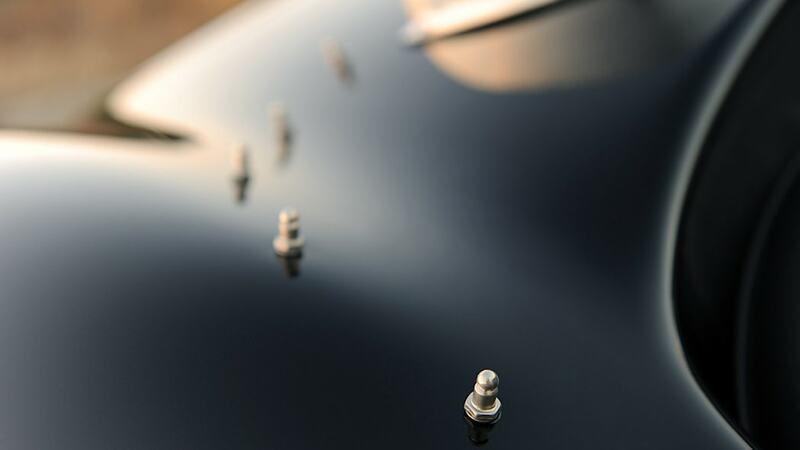 When pressed hard in first gear, the V8 responded quickly. It wasn't difficult to break the rear tires free at low rpm, but power built much more strongly as the tachometer swept around the dial. 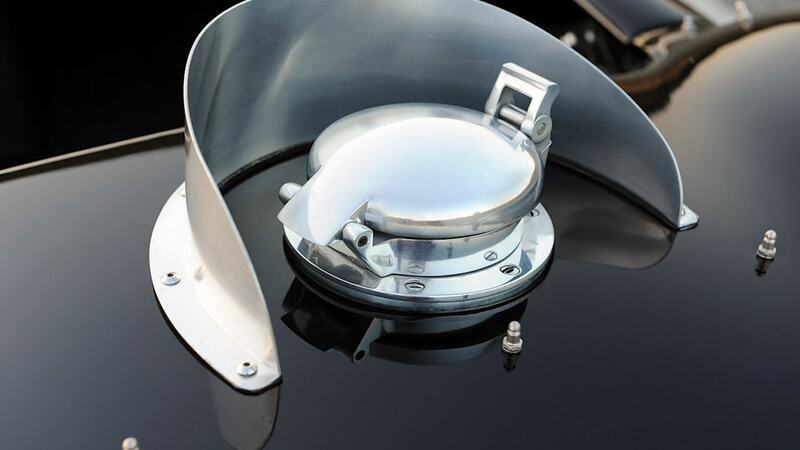 Above 5,000 rpm, the engine was thundering and the Cobra 289 blasted forward. Redline wasn't indicated on the dial, but it was easy to feel when the power dropped and it was time to slam it into the next gear. Lift slightly, clutch, shift, clutch and then apply full throttle (for best results, repeat four more times in rapid succession). The aggressive driving seemed to feed the Shelby's ego, and it howled each time the accelerator was floored. 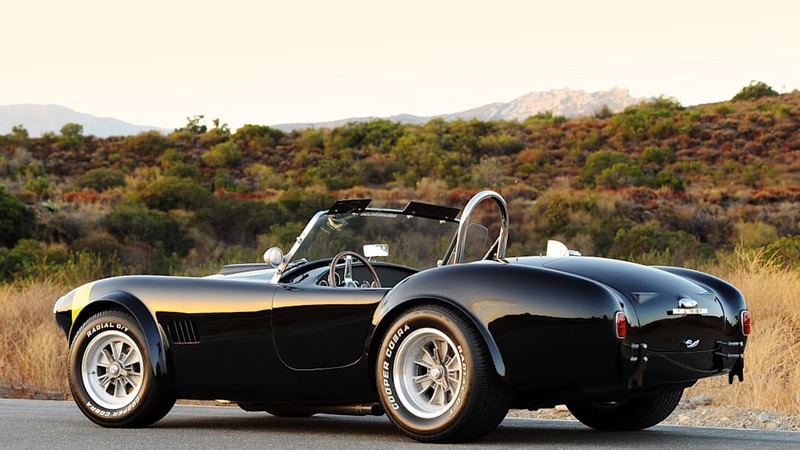 Handling isn't the Cobra's strength (suspensions and steering have come a long way in five decades). 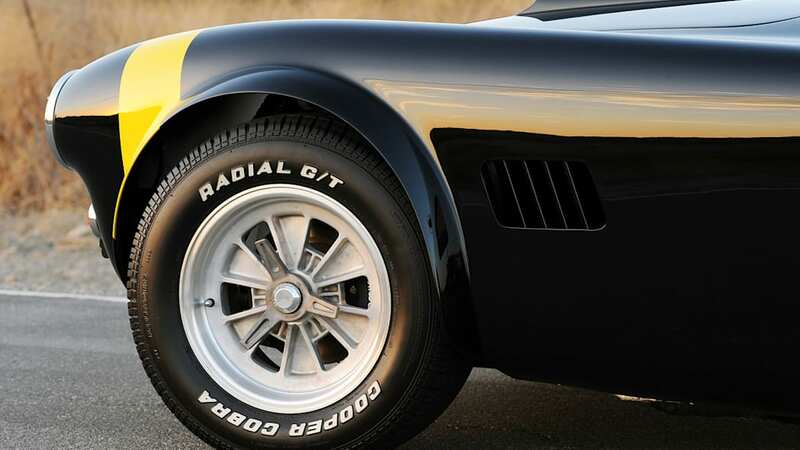 Despite independent front and rear geometry, the Shelby was a handful. 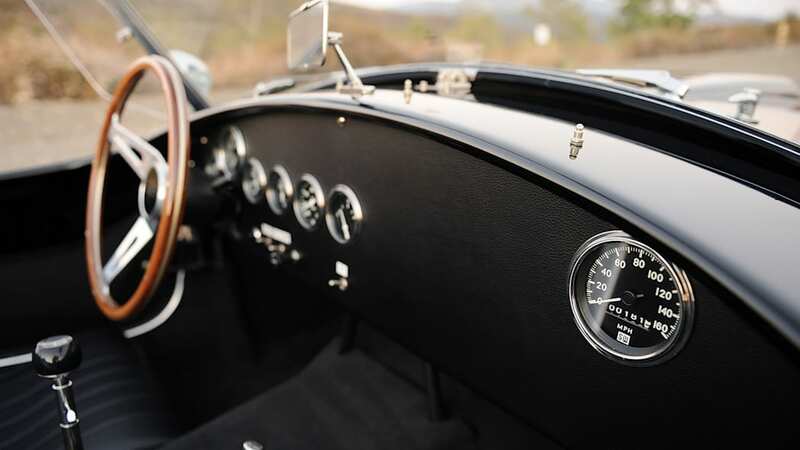 Even after acclimating to its mannerisms, the slow turn-in and heavy steering is archaic by today's standards, and a slippery wood steering wheel didn't help build confidence. 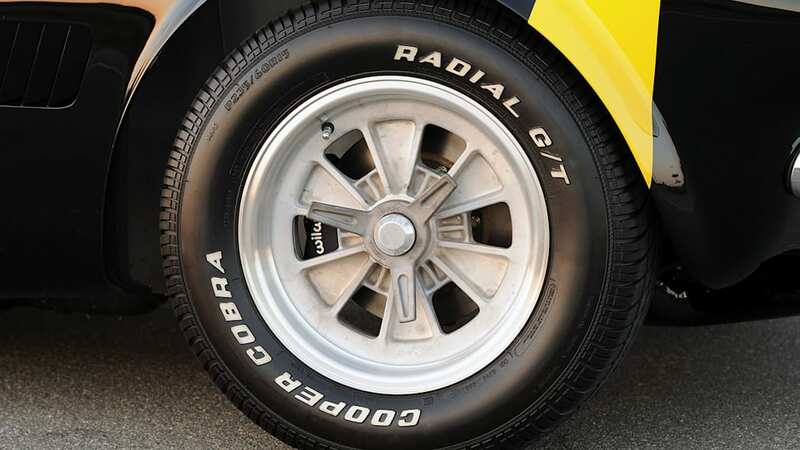 Our test car was wearing retro Cooper Radial G/T tires with white lettering. They looked stellar, but simply lacked the grip and rigidity of modern high-performance rubber. If it were up to us, we'd slap on some R-compound tires for some genuine cheap thrills. 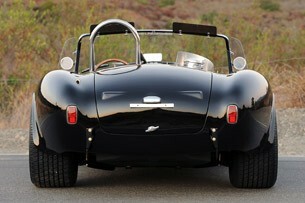 The stint in the Shelby was every bit as educational as the experience was exhilarating. 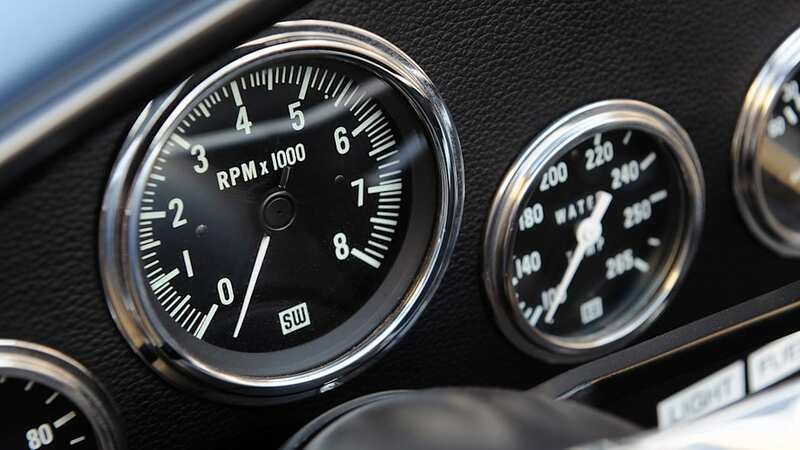 Nevertheless, there are few things more intoxicating to a car enthusiast than fresh air in the face, the stench of hot exhaust and the roar of a stroked V8 under wide-open throttle. But the fun had to end. After an hour behind the wheel, we were wind-blown, sunburned and pretty much exhausted, but with cheeks creased from grinning ear-to-ear. The stint in the Shelby was every bit as educational as the experience was exhilarating. 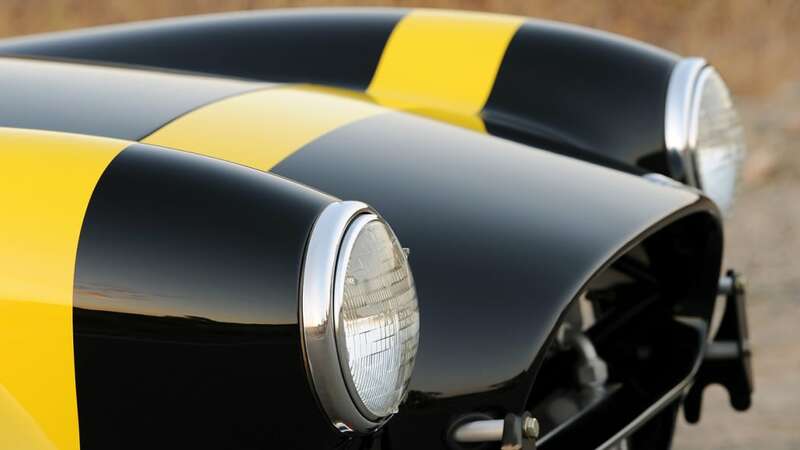 It was academic, because the replica faithfully recreates the driving experience endured by the racers in the 1960s, right down to the sounds, smells and physical effort required to manhandle such a crude machine. 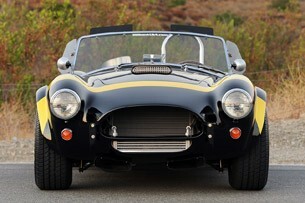 It was thrilling because the Shelby was so engaging, never seeming to relax or settle down. Some will argue (correctly) that today's crop of computerized sports cars run faster and corner harder, yet they often leave a traditional enthusiast feeling empty-handed. In sharp contrast, the meticulously recreated and timeless Cobra 289 FIA delivers raw driver involvement in 40-foot bulk containers.